tunes around the fire long into the night. our kids, one entire evening. star. And Bob was a superstar virtually around the world! Midwest. He’s good. Packs them in! Bobby Vee has appeared as a guest from time to time. Jeff on drums -- for various bands. They played in Bob’s band when he was performing. Jenny has an art studio in Rochester, MN. lung replacement at Duke. She made medical history in some medical magazine. still needs her around. The Halls miss Karen Velline. lives in the Palm Springs region, written to Don Graham. she’s a singer. And a good one. Worked with Don Ho. couldn’t be more pleased. Isn’t it nice to be a hero again? know? Once a giant in Houston? middle of a four-way intersection – in the KCBQ van – smoking some funny cigarettes. News/Talk/Information/Sports, etc. and Political Talk (Rush, Hannity, Michael Savage, etc. bunch of them. How about The Real Don Steele, Robert W. Morgan, Humble Harve? Myopathy’. My right ventricle is that of a 40-year-old, but the left one works at only 50%. Diagnosis: ‘I will live another 20 minutes. Or, 20 years’. They don’t know. Who does? 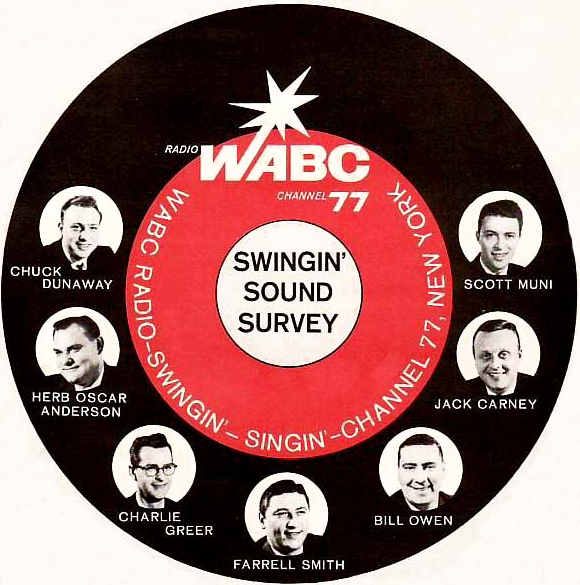 MS, and sit up high so we could listen to Wink Martindale (‘Hey, Winkie!’) on WHBQ. knocking and asking if I was okay. Hell, no, I wasn’t okay! great jock on WHBQ, Memphis. He was looking for John Cook, son of the late Jay Cook. unbelievable story about that! His dad Jay remained one of my closest friends his entire life. from DC to take my place in San Antonio. Really talented young man named ... Dan Mason. of fact, I would just love to hear from you, period. You’ve always been a star with me. Los Angeles to breakfast with Dwight Case. And, then, again, maybe I won’t. he survived. But I seem to recall him yelling once or twice a block. I forwarded John’s note, of course. Sam is a good man. Once worked in the Nashville area. Drew and his widow. You’re in my prayers, Sam. was a great nice man … I met him here in Sarasota one night before he was doing a concert. especially when played by a Mexican. experienced & brilliant Bob Sherwood would make a great assistant & trouble shooter to Mr.
Dowe in any possible takeover. Any takers? Sometimes wishful thinking becomes a reality. and her sister … father and mother. will explain him to me.